Get your hands on the UK’s perfect chip! From Field to Frier finalists named! Seafish, the public body that supports the £10bn UK seafood industry, has today (Tuesday 4 December) revealed the UK’s top three fish and chip shops praised for serving the perfect chip, as part of the 2019 National Fish & Chip Awards. This award category acknowledges UK fish and chip businesses that excel in potato knowledge and responsible sourcing, as well as their ability to produce the finest quality chips. The shortlisted shops have been assessed against a wide variety of judging criteria, with a specific focus on their policies and procedures in the responsible sourcing of potatoes. They have also been assessed on their potato knowledge, including types and seasonality, storage and preparation of raw ingredients. In the coming weeks, industry judges will undertake further in-depth inspection visits to each of the respective businesses to review the front and back-of-house practices and operations within the premises. The overall winner of the From Field to Frier Award will be announced at the London awards ceremony in January 2019. Marcus Coleman, Chief Executive at Seafish, said: "The National Fish & Chip Awards take great pride in celebrating and rewarding every aspect of running a successful fish and chip business, including one of the most essential components - the humble chip. With fish sustainability currently high on the agenda, for industry and government, it’s easy to overlook the significance of potato provenance. But I’m pleased to report that fish and chip businesses are showing great diligence and continually working to bridge the gap between field and frier. "Often overlooked, delicious fluffy chips play an important role in producing the perfect portion of fish and chips – and it all starts with sourcing the right potato. Filled with vitamins, minerals and organic compounds, potatoes offer many of the healthy nutrients required for a balanced diet. Award sponsor Oliver Boutwood, Director at Isle of Ely Produce, commented: "Established for a number of years, this award category continues to capture the attention and imagination of both farmers and friers alike, and has become a core part of our intrinsic values at Isle of Ely Produce. So much so, that we hold an annual open day event at our Cambridgeshire premises, attended by potato growers, farmers and fish and chip business owners, where attendees gain invaluable insight to the potato supply process. Our autumn 2018 open day was attended by over 100 industry delegates and the event continues to go from strength to strength. 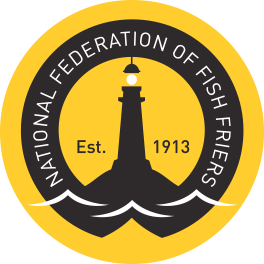 The winner of the From Field to Frier award category will be announced at The National Fish & Chip Awards’ 31st anniversary ceremony, which will be held at the Royal Lancaster Hotel in London on 24 January 2019. For further information and news on The National Fish & Chip Awards please visit www.fishandchipawards.com or follow @FishnChipAwards / #FishNChipAwards on Twitter. www.fishisthedish.co.uk/win/national-fish-chip-awards or follow @fishisthedish on Twitter.